The California Legislature recently passed six bills improving conditions for electric vehicle ownership, laws that are waiting for Gov. Brown's signature. California is by all measures the leader in electric vehicle adoption, with perhaps half of all electric cars sales in the US. Governor Brown himself is a big proponent of green technologies, including electric cars, as was Governor Schwarzenegger before him. Over the last two weeks, the California Legislature has passed six pieces of EV-related legislation that would positively impact the electric vehicle market. Today, noting that the legislation is awaiting Gov. Brown's, Plug-in America issued a call for the people to send Gov. Brown a message to sign the legislation. Together the legislation makes California even more EV-Friendly. Activists also want to use these new laws as models in other states and at the Federal level. SB286 & AB266 would extend access to the HOV lanes for electric vehicle owners. California allows solo drivers of electric or plug-in hybrid cars to drive in the high occupancy vehicle lane, which is a big perk incentivizing electric vehicle sales without costing the state any money. SB359 would "save" California's Clean Vehicle Rebate Program (CVRP) that adds an additional $2500 in incentives for electric car purchases. The program has issued over $73 million in rebates since 2010, demonstrating the growth in electrified vehicle sales in California. In June 2012, the program received an infusion of over $27 million that kept it going for the last year. What SB359 does is shift some money between accounts to provide enough funding to keep it going until 2016. SB454, the Electric Vehicle Charging Stations Open Access Act, would require that electric car charging stations be accessible to all drivers, for example by paying with a credit card. Currently electric car drivers have to maintain membership in multiple clubs, primarily ECOtality's Blink network and the ChargePoint network, to access public charging stations. This means someone could arrive at a charging station and be unable to charge. Gasoline car owners don't face this barrier, and can use any gasoline recharging station simply by paying with a credit card or even cash. AB1092 requires changes to the California Building Standards Code that any new multi-family housing construction (apartment buildings and the like) to have wiring in place to facilitate electric car charging station installation. This does not mandate that charging stations be installed, just the wiring to support them. Apartment dwellers face the steepest challenge for electric car ownership, because of limited control over their parking space. Installing a charging station requires approval from landlords or home owners associations, many of whom aren't interested in charging station installation, or may be unable to because the electrical service is insufficient. The effect of the law would be that new buildings would be required, by the building code, to have sufficient electrical service to support electric vehicle charging. AB8 sets up a significant chunk of long-term funding for alternative fuels, including electric vehicle related projects. The funding comes from various surcharges on vehicle registrations. 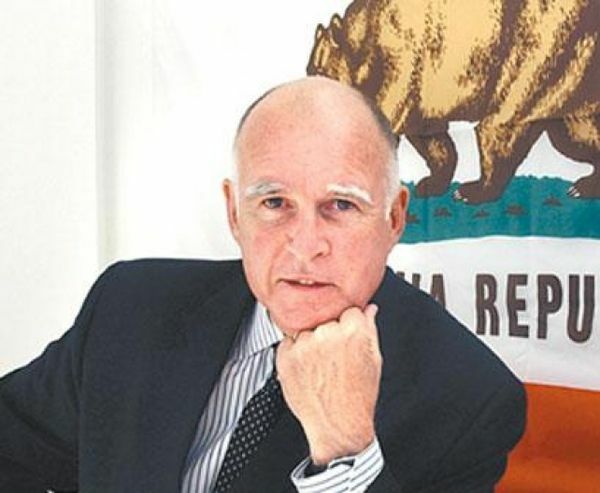 Interested people can go to Plug-in Amercia's website to read up on the laws and to send a message to Governor Brown.